How You Like Me Now, Bich?! Danielle Bregoli ﻿has cemented her status as one of the top female rappers — deal with it — and Billboard’s stamp of approval says it all. 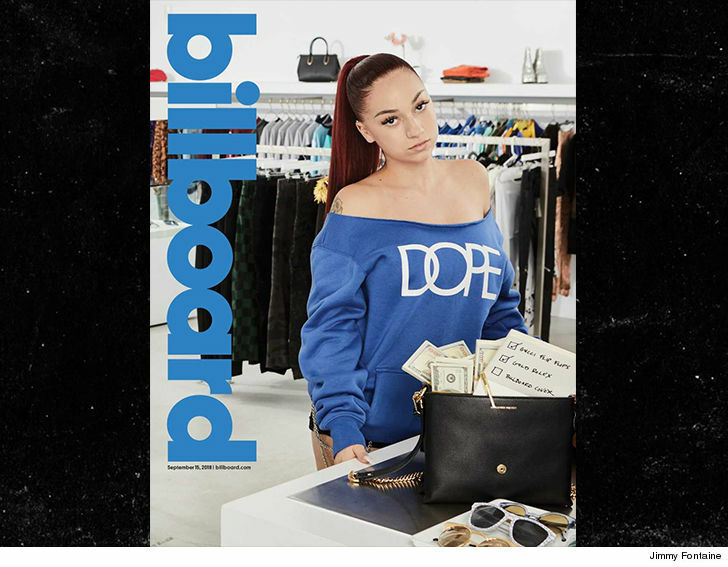 Danielle — aka Bhad Bhabie — has just landed the cover of Billboard … slated to hit stands Friday and just a few days shy before Bhabie’s first mixtape “15” is also released. The cover is very much deserving — it comes on the heels of earning a Billboard nomination for top rap female artist along Nicki Minaj and Cardi B. Strong company, for sure. TMZ obtained video of Bhabie’s behind-the-scenes when she shot the cover. Need more proof she deserves it? Bhabie’s the youngest female rapper of all-time at 14 to chart on the Billboard Hot 100 — 3 of her tracks have made it on … including “Hi Bich,” which has amassed 119M views on YouTube alone. Bhabie — who goes on tour with Lil Yachty in October — now has even more reason to celebrate. Maybe another grill? She likes shiny things.